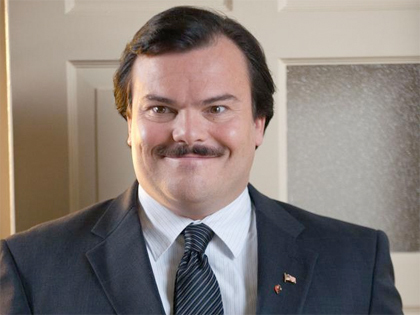 When we are first introduced to Bernie Tiede (Jack Black), he is making a dead body smile and look at peace. Surprisingly, being a mortician (or, in “gentler” terms, a funeral director) is no joke of a job, it is an art. What is so interesting about “Bernie” is not the art, but rather the artist. While I hate to use such a tired phrase, “Bernie” is a story that truly is too strange to be fiction. In short, it can best be described as “Crimes and Misdemeanors” shot like a Christopher Guest movie. However, one simple sentence, and even one review, will be hard to do justice by the absolute surprise of the movie’s complexity. 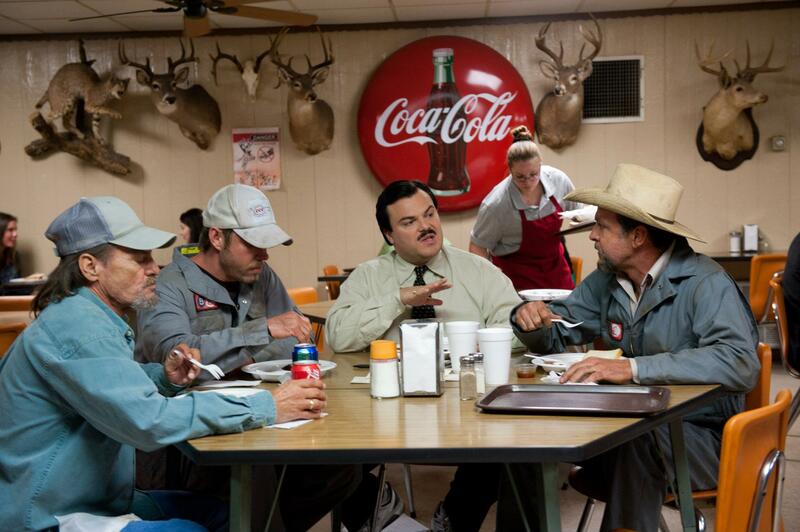 This is unlike any work that director Richard Linklater and actors Jack Black and Matthew McConaughey have ever done. With “Bernie,” Linklater returns to his homeland of Texas, the state that made him famous with “Slacker,” “Dazed and Confused,” and “Waking Life.” However, “Bernie” has a totally different feel from any of those films. As one of the locals points out in “Bernie,” Texas is basically like a diverse country of its own. “Bernie” moves away from Austin (or as it is described in this movie, “The People’s Republic of Austin”) and into East Texas. This region lacks the flat desert lands that usually define the Lone Star State and instead is covered in the forests usually seen in Louisiana. East Texas is a little more south than west. This is not the Texas usually seen on film. The town of Carthage, Texas largely consists of people who were born there and never left. And Bernie Tiede. Bernie, the assistant funeral director at the local funeral home, is the most beloved man in town. He is friends with everyone. If you need someone to paint your house or help you with taxes, Bernie is there. He has the best best side manner that any mortician could have. He even treats the dead with love and respect. “Bernie” is about a mortician who becomes a murderer. It steps into the mind of a killer by removing itself almost entirely from the killer’s mind. This works well here, as a morally questionable villain is the most interesting kind of villain there is. Black gives a career-defining performance here. Playing someone who actually exists, in ways, could be easier than playing a fictional character. Black had the physical mannerisms to work off of (such as Bernie’s somewhat effeminate style of walking). The challenging part, which Black nails, is the emotional core. While Black usually plays slacker characters who start off unlikable and then become likable as the story progresses, “Bernie” is the first time he plays a character who starts off likable and by the end, it’s hard to tell whether or not he should be. Despite his good deeds, Bernie’s motivations are constantly in question. His relationships with the older widows are a little too close for comfort, especially his possibly romantic one with cold-hearted Marjorie Nugent (Shirley MacLaine). If you knew Marjorie Nugent, who will take advantage of your kindness and then chew her beans in a way that angers you, you would probably hate her, too. If you know the true story of Bernie Tiede, then you know the fate of Marjorie Nugent. But knowing the truth does not ruin the story. “Bernie” sets up her demise in a way that is actually kind of shocking, and what happens to her body afterwards is funny in a darkly comedic way. The fact that she has died is not funny, but what is funny is that Bernie still feels the need to give her a proper burial. An unconventional one, at that. Later on, the story’s real hero turns out to be District Attorney Danny Buck Davidson (McConaughey). This is a big turn for a man who at first seems to be able to look for any opportunity for a PR stunt. Davidson might take his job a little too seriously, but he’s also very good at it. Linklater has a habit of getting the best possible performances out of McConaughey, and by that I mean getting him to actually act. As Davidson, McConaughey doesn’t even feel like he’s giving a performance, he just seems to be existing as Davidson. He blends in with the locals, yet he has a big city attitude that clashes with rural life of Carthage. Plus, he provides one of the film’s biggest laughs with his terrible mispronunciation of a famous play. “Bernie” seamlessly blends fiction with reality. It is not a mockumentary, but rather half scripted, and half documentary. The residents of Carthage steal the show, despite Jack Black’s fantastic performance. Some of the stories and words of wisdom that the Carthaginians (is that a thing?) share are the kind of things that seem to only be able to come from memory, and not a screenplay. Sure, the movie has fun at the expense of the obese folks on jury duty, but the minds behind the film seemed to have done enough research and close observation of the region that they have to be hitting it on the head. Or at least, that is what a man at the theater who grew up in East Texas told me. Having the semi-documentary format is perhaps the only way to tell the story of Bernie Tiede. There are never any real private moments of Bernie in contemplation. Therefore, some of his deeper emotions are never reveled, and his intentions are left up to interpretation. A movie that explores if someone could possibly have two personalities, and if someone could commit cold-blooded murder and still be loved, is one that is deep and though-provoking. A movie like that doesn’t leave the viewer’s mind once the film ends. The fact that “Bernie” explores these themes in a way that is both funny and endearing is a mini-revelation. “Bernie” has yet to receive a wide release. That may be because “The Avengers” is all anyone is going to see, but I believe this movie has about the same amount of mass appeal. And the fact that many believe this movie is not entirely accurate just adds further to the intrigue of it. This entry was posted in Bernie, Comedy, Jack Black, Matthew McConaughey, Movie Review, Richard Linklater, Shirley MacLaine, Texas on May 10, 2012 by ian0592.